A strange psychological movie that is artistic and intense, but also at times quite disturbing. Black Swan is a deliciously evil little thriller that torments its main character with hallucinations brought on by competition and a desire for success at any cost. We’ve seen movies that touch on this before, from All About Eve to Showgirls to Boogie Nights. The main character starts out innocent and wholesome and by the end, he or she has been corrupted by the system and chewed up and made into the most spoiled and arrogant of them all. Black Swan goes a different way. It starts out with that same initial premise, but then turns into a movie about a girl who lets the competition get the best of her as she completely loses control of reality. That seems to be in large part because of the characters that surround her, each wanting a piece of her and to manipulate her in some sort of way. Natalie Portman plays the protagonist, Nina, who is dealing with these problems. She’s fantastic, but so, also, is her supporting cast. Mila Kunis as the rival / friend, Lily, is haunting in a way where she seems to have a secret or to somehow be behind everything that’s happening. Lily takes Nina out for a wild night on the town where Nina basically loses herself to desire and reality gets completely altered and blurred. Aside from Lily as the young behind the scenes newcomer, rising in the shadows, there’s her counterpart, played by Winona Ryder, as an aging and now retired star. Lily is the up and comer, the new kid in town. And Winona Ryder is the former champion now cast into the distance, condemned to a hospital room to be lost and forgotten. The other two main characters are the adults. The French teacher, Thomas, played by Vincent Cassel, and Portman’s mom, played by Barbara Hershey in a role that is nearly as creepy as the mom in Carrie. One thing that really makes this movie work is the feeling that there’s a secret around every corner. You can’t really trust anything or anyone, because when you’re not suspecting anything at all is when a character just might pull out a knife and start stabbing herself in the face. There’s a lot of duality and balance in this movie. Portman and Kunis are supposedly a balance of each other, with Portman representing the white swan and Kunis the black swan. In this possible scenario, Kunis is her doppleganger. Her id. And in that case, maybe Kunis doesn’t really exist at all. The same could be said about the mom. She is never seen talking to any other character in the film besides Portman and is never seen outside of the house. When inside the house, the mom never acknowledges anyones presence or talks to anyone besides Portman. This is a psychological thriller that wants to keep you on your toes. It has no shortage of self-mutilation, and a terrific climactic ending, but then there are the many theories that do not get their moment to come out. I have a few of my own. Is Kunis possibly the devil. Did the mom make a deal with her to grant Portman success. And did the mom offer her Portman’s soul in return? That one might be far fetched, but what about this…does the mom have a relationship with the teacher? Did she ever? The mom used to be a dancer and had to give it all up. Is the teacher possibly Portman’s father? I don’t actually believe any of these wild ideas to be true, but the fact that the movie provides enough supporting ground to even raise the questions makes it all the more interesting. The one situation that does seem to be evident is that when Nina and Lily go out on the town, two night’s before the show, Nina changes. 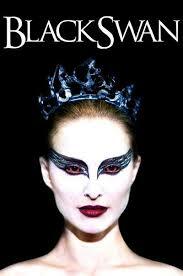 She embraces her darker side and from that point on becomes the black swan. This includes having all sorts of hallucinations, throwing her music box, and dropping a whole bunch of her stuffed animals down the garbage shoot, as well as beating her mom a couple of different times. And one has to wonder, has this all been caused by something Lily did to her. Maybe something she put into Nina’s drink? Lily does put something in the drinks and even admits to it later on. It’s dark and scary and its just as good for the questions it does not answer than the ones that it does. Darren Aronofsky is a fantastic filmmaker who had strong breakouts with Pi and then Requiem for a Dream. In the last few years he has taken his talent for the dark and disturbed and found a way to make it appealing to the mainstream, first with the Wrestler and now with this. Both movies were surrounded by Oscar buzz. With Black Swan, he has finally figured out how to grip audiences and haunt them in such a way that they can’t stop talking about it and wondering. The music is absolutely scary and exciting at the same time and carries this movie along, especially towards the end. It’s a very smart and spooky movie.